College sweethearts Rebekah and Holden met a few times around Clemson University before Holden asked her out for ice skating. 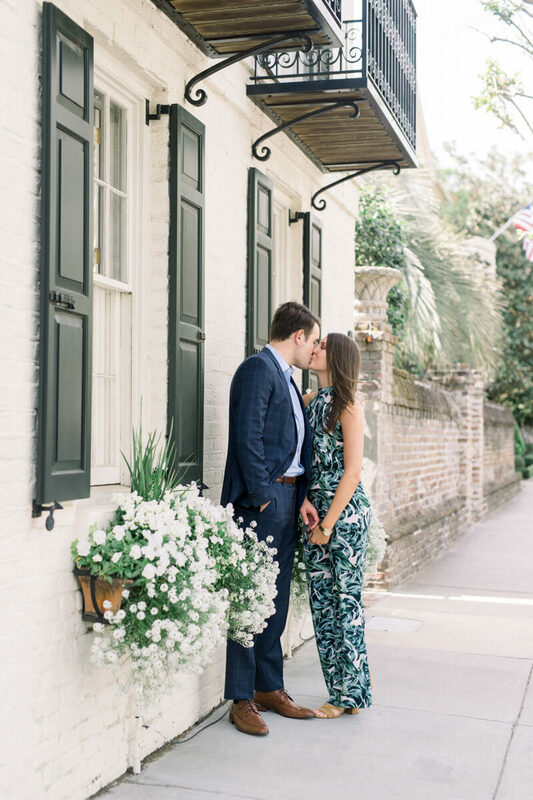 Since then, they’ve been inseparable, and Holden pulled out all of the stops for their engagement night in December 2017. Rebekah sets the scene: “I had just completed my last final exam for the semester and spent the rest of the day packing to go home for Christmas break.” Holden said he wanted to take her to a nice dinner to celebrate, and oh yes, he’d Venmo her money to get a fresh manicure, plus he had just bought her a new dress. Rebekah’s senses began tingling, but she hadn’t quite realized what was in the works. At dinner, Holden got a text from his brother saying that his moped was stuck in the mud in the woods and needed help. Off went the couple, deep into the forest near Lake Hartwell. 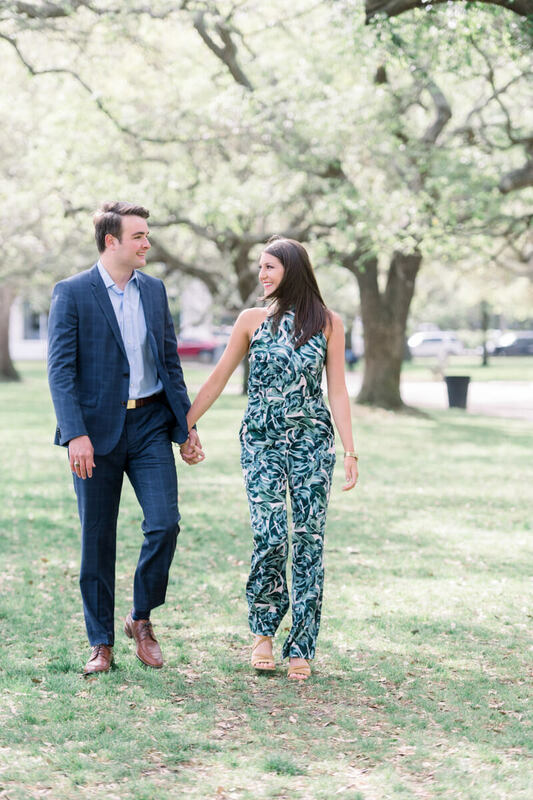 Rebekah and Holden’s brother walked down the trail toward the stuck moped (yeah, right), but instead of a muddy morass, there was a red carpet, a sea of red lights and a brilliant Christmas tree – and Holden on one knee. “Of course I said yes!” Rebekah says. 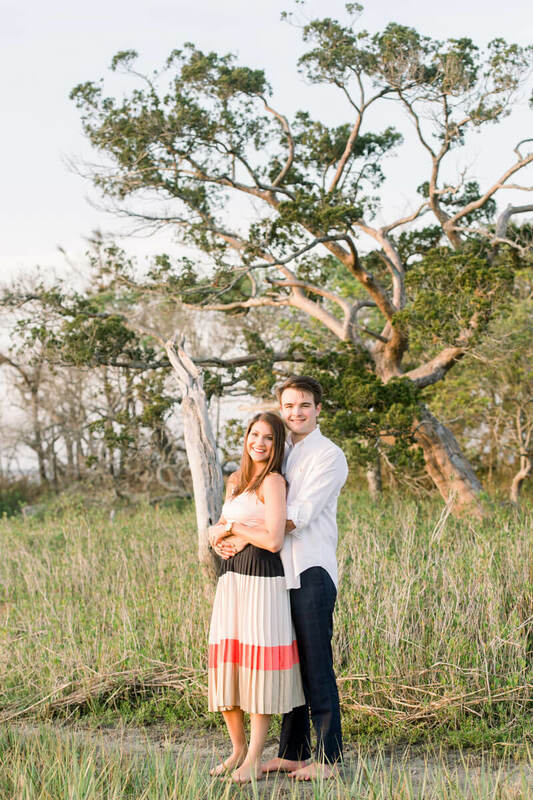 The nearly weds plan to hold their wedding in North Carolina one year to the date of their engagement, and their spring engagement shoot in Charleston and Folly Beach, South Carolina, shows their love and excitement.